Rachael's designs are inspired by her overwhelming love for nature while incorporating a bit of an edge. She juxtaposes the romance of blooms with the true nature of them by attempting to let their raw movement take shape in her work. 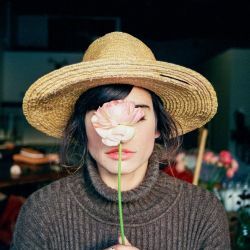 She can be found crying tears of joy over new flowers she discovers at the market and believes that floristry is an emotive medium that comes from the heart.